Hello, it’s Laura Kelly here from over at Me and My INKlings. 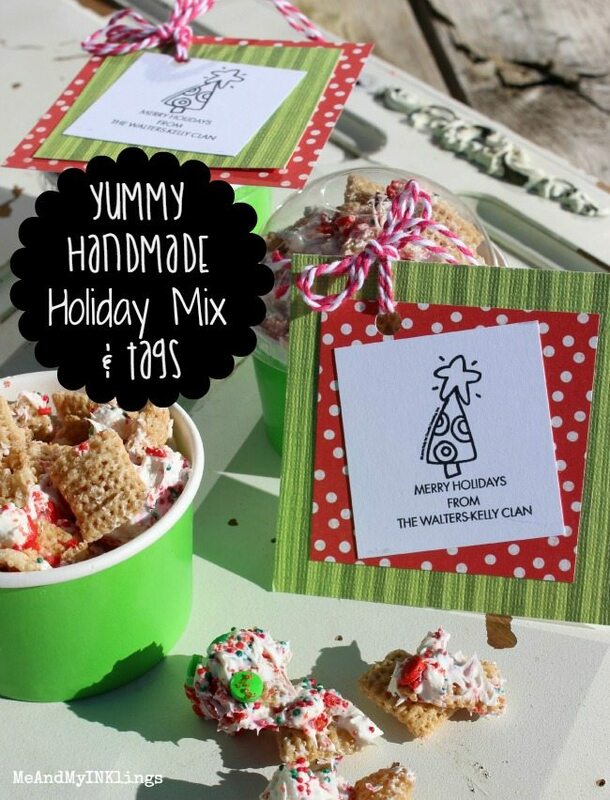 Christmas is the best time of year for creating gifts that have a touch of homemade. We have so many people on our list with four kiddos and a great community of friends and family. 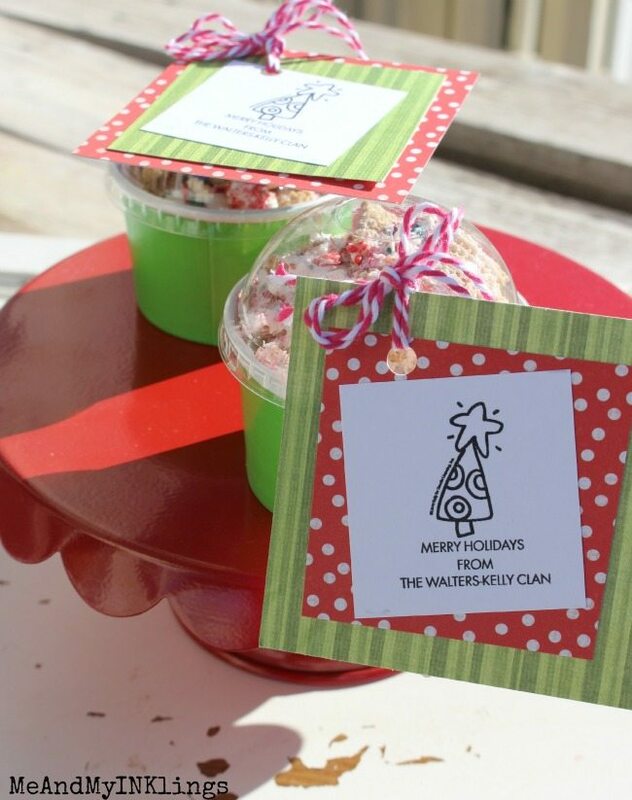 Each year we whip up a mix of something yummy and turn into gifts for teachers, neighbors and friends (Bunko, Awesome Club, PTA, Etc.). 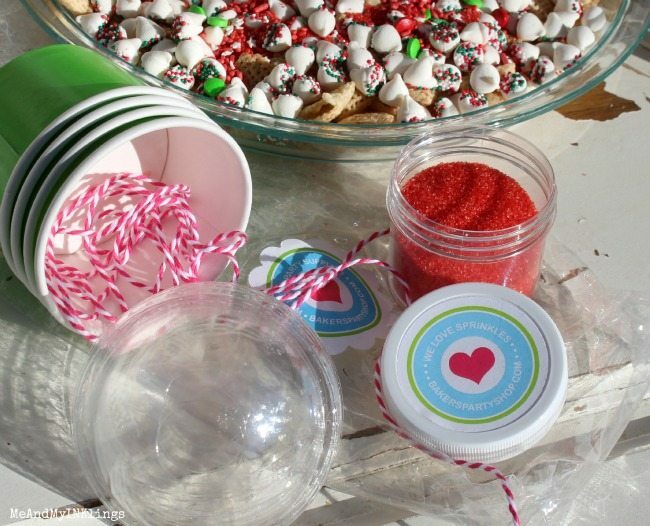 The plan for this year is to make this pretty and delicious mix of Holiday Sprinkle Treats with matching handmade gift tags. 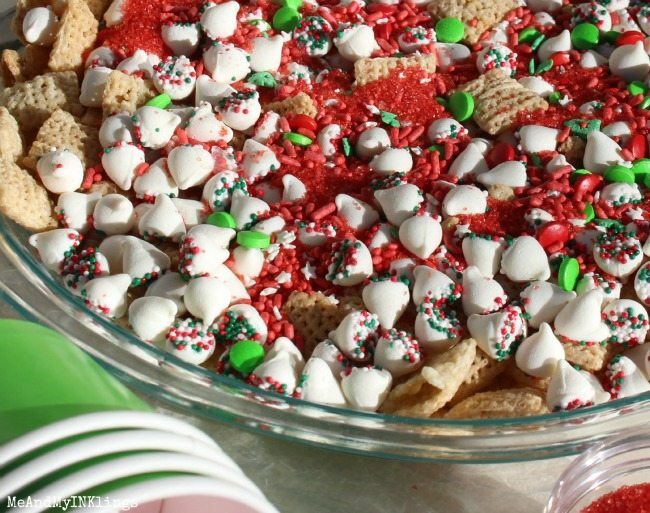 To make the mix, you will need just a few things…Chex cereal, sprinkles and white chocolate morsels. Pour the cereal (4 C) into a pie dish then cover with the morsels and sprinkles. Bake for 10 minutes at 350 degrees then mix around and stick in the fridge. When it is cold, break it apart and package it up. It is fun to package in jars but I really love these little cups that come with lids from Bakers Party Shop. They are my great source for sprinkles too! The gift cards are my favorite. I made these with my custom stamp that I designed for Expressionery. I am sharing how I made the tags over on my blog today and also giving away one custom stamp to a lucky winner!